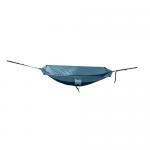 If you’re backpacking through the wilderness and looking for an easy place to sleep, our lightweight camping hammocks are fantastic alternatives to lugging around heavy tents. 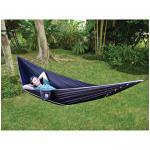 Camping and parachute hammocks are highly portable, mildew resistant and come with tarps to provide additional shelter. 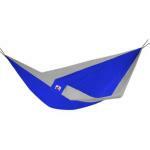 For the environmentally conscious camper, our hammocks are ideal for low-impact camping because of special “tree hugger” straps that won’t damage tree bark. 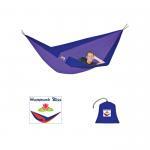 And, don’t forget, all of our camping hammocks, like every product we sell, come with a 30-day 100% money-back guarantee, so you can buy with confidence. I purchased the first hammock for a gift and was so pleased with it,(as was the recipient) that I purchased another for a second gift. Both guys were pleased with the design and size and durability of them. You folks have helped me several times in gifts for the menfolk in my life! Now if I can just get someone to give me one...! I bought the Borroloola hammock for my sister-in-law. I cannot personally comment on it, but she and her family love it! It is a great color and a good value for the money. 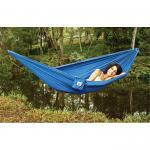 They wanted a hammock to use at home and away, and this style packs very easily. 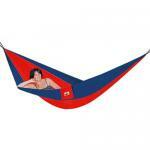 I will definitely consider this hammock for my next purchase. 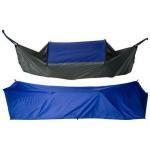 It is very versatile and comfortable!